Solar panels and renewable energy solutions for your business. Why buy electricity from others when you can conveniently generate it using your empty roof space? Is it time to consider a solution to combat rising energy prices and take control of your energy costs, if not cut them out for life? Why not become more sustainable while improving the EPC and well-being of your business and addressing your corporate social responsibility. Your roofs will become an asset if used correctly. 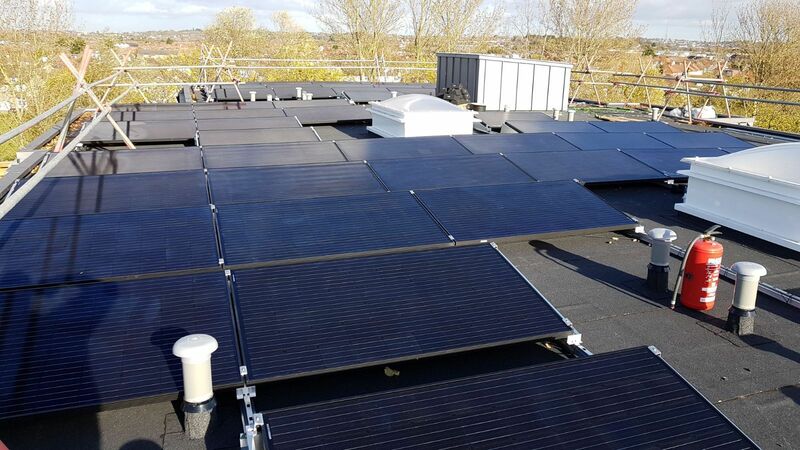 Why leave all that dead space when you could have solar in place supporting your businesses energy use, while also offering a return through the government FIT scheme. Is it time for you to consider the solar way of doing things and make a change now to return an investment in the future. Then please get in touch and one of our solar consultants will happily discuss options that may suit your needs. We offer a wide range of services for our commercial partners and make sure that they are looked after the REST of the way into the future of their business. Get smarter by switching to commercial solar solutions with REST – a reputable, reliant and experienced renewable energy company. Talk to our solar energy adviser for more discussions about your needs. We were shocked at how much going solar helped our business – we now generate all our electricity, helping us sleep better because we know we’re doing our bit for the environment and the best thing was that it was so easy to do. Highly recommended. American businesses are investing record amounts in solar, with the top corporate users adding 325 megawatts (MW) of installed capacity last year, according to the “Solar Means Business 2017” report from the Solar Energy Industries Association (SEIA). Call us on 0333 012 9034, or use the form and we’ll get back to you as soon as we can.